Main research path in the areas of medicine and biology is the use of electroporation to enhance the transport of various substances into cells or to directly affect the cell viability. This mechanism can be used for various aims, such as treatment of cancer, insertion of genetic material for genetic modification of organisms or gene therapy, directly destroying target tissues, and protection of cells during freezing. Electrochemotherapy is a cancer treatment modality which uses electroporation to increase the uptake of cytotoxic drugs into cells. This allows for a great potentiation of the effectiveness of these drugs, while simultaneously limiting side effects of the drugs. Laboratory of Biocybernetics is actively involved in development of numerical treatment planning methods for optimization of treatment delivery. This is used in clinical studies for electrochemotherapy of liver tumors and head and neck cancer. Irreversible electroporation uses electrical pulses alone to destroy unwanted tissues, which has been used already in the treatment of liver, pancreas, kidney and brain tumors. Electroporation can be used to introduce genetic material into cells, which leads to gene expression, enabling different basic research in biology. Simultaneously, we are researching electroporation for gene therapy, where different therapeutic endpoints are investigating, among those also treatment of cancer. During freezing of cells, ice crystals form, which can damage the fragile cell membrane, so typically several toxic protective substances are used. However, using electroporation various natural sugars, which are used by cold adapted plants, can be introduced into the cells. In this way, cells can be protected using non-toxic materials, which is especially important for keeping of stem cells. 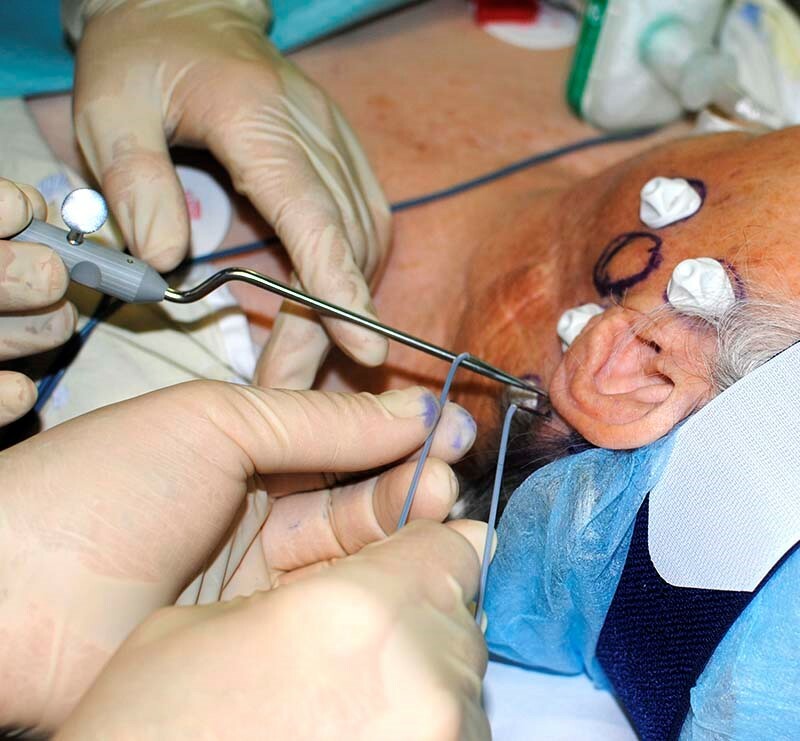 Figure: Optically navigated insertion of electrodes for electrochemotherapy treatment of head and neck cancer.